Ellis Injury Law is proud to offer tenacious, results-oriented representation to accident victims in Oxnard and Ventura County. Our team of talented attorneys brings decades of experience and courtroom successes to the table, offering clients aggressive, focused advocacy in a wide range of civil matters. If you’re looking for the best lawyer to file your claim, you can count on our legal team to ensure justice is served. As a full-service firm with 20 California locations, we genuinely care about our clients and the wonderful communities we serve. If you or someone you love suffered harm because of another person’s reckless actions or negligence, you need a skilled personal injury lawyer who will fight tirelessly on your behalf. With more than 25 years of experience handling serious personal injury and wrongful death cases in California, our track record is backed by numerous multi-million dollar settlements and verdicts. We are here to minimize your suffering and let you focus on your health and recovery. Because serious injuries entail much more than just physical harm, our attorneys take a holistic approach to assisting our clients through the recovery process. Besides maximizing the value of your claim through testimony provided by crash data analysts, accident reconstructionists and medical experts, we make every effort to help our clients heal emotionally as well. We go the extra mile for you to help you get through the challenges of recovery, whether it’s driving you to a doctor’s appointment or helping you find the right treatment provider. When you partner with Ellis Injury Law, you get respect and compassion – and you’ll never be forced to settle for less than you really deserve. For a free case review, we invite you to call our Oxnard, CA law office on East Esplanade Drive. It costs plaintiffs nothing to have an experienced personal injury attorney review their case details to see if there is a strong legal claim for compensation. We work on a contingency fee – meaning that we only get paid if YOU get paid. If we agree to represent your lawsuit, you’ll need to sign a written fee agreement that clearly spells out what money will be deducted from your settlement or award after the case is fully resolved and you are in a much better financial position. Remember, however, that legal fees are only charged IF we win your case. If you were representing yourself in settlement negotiations or court, you would be responsible for covering these costs yourself. When you work with Ellis Injury Law, we cover these costs for you when funds are tight and collect fair payment for services out of the money we win on your behalf. 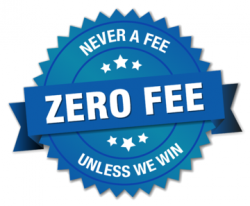 Because we have the financial resources to operate on a contingent-fee basis, you never have to worry about affording litigation fees, even if the case goes to trial. What is a “Personal Injury?” Will You Take on My Case? Ellis Injury Law specializes in a wide variety of cases, ranging from minor injuries to catastrophic loss. Sometimes an accident is just an accident, where no one is to blame. Personal injury law applies where a defendant’s negligence, recklessness, or intentional conduct causes harm to another person. When in doubt, a person who has been seriously injured in an accident can ask a lawyer to look into matters to see if a valid claim for compensation exists. Plaintiffs seeking the best possible legal representation will find distinguished award-winners at Ellis Injury Law. Last year, Andy Ellis received membership in the prestigious Lawyers of Distinction Directory, which includes the top 10 percent of the nation’s attorneys based on results, reputation, and outstanding achievement. Over the years, he has won a quarter of a billion dollars for his clients. Overall, Ellis Injury Law Firm was voted among the Top 19 Best Car Accident Firms in Los Angeles by Expertise.com, which hand-picks their list based on reputation, credibility, experience, availability, and professionalism. Our associate attorneys and partners come from prestigious backgrounds – graduating at the top of their classes, serving in the military, winning awards for their advocacy, bringing extensive experience over from other firms, earning recognizable awards and distinctions. We are members of the Million Dollar Advocates Forum and the Multi-Million Dollar Advocates Forum, Super Lawyers, and the prestigious American Board Trial Advocates. Andy Ellis has the experience to handle complex claims with multiple responsible parties. We’ve done large tort cases and national product liability lawsuits. We’ve represented plaintiffs against tough, well-financed defendants — large corporations, medical doctors, police officers, and city government. In many cases, our reputation precedes us. Insurance companies know they have to settle for the maximum amount with Ellis Injury Law because Andy will take the case all the way to trial – with the experience to win. We’ve been able to negotiate pre-trial settlements with insurers as much as four times’ the plaintiff’s policy limits when car accident injury costs far exceed insurance offers. When you or a family member suffers a serious injury, you need a lawyer with the experience to win at trial, and Andy Ellis has built his reputation by developing extensive local ties. He has a great working relationship with local judges, courts, and police departments. He knows the best, most well-respected medical experts and the right people to call for highly specific, expert opinions in any type of case – whether you’ve been injured in a car accident, on another person’s property, in a medical facility, or at work. Had a Car Accident in Oxnard? Speak with an Auto Accident Lawyer ASAP! The sooner you contact an auto accident attorney, the better! The hours, days, and weeks following an accident are the best times for information gathering before crucial evidence for your case is lost or buried forever. Andy Ellis and the firm are exceptionally good at investigating car accidents, with a vast local network of private investigators, crash reconstructionists, medical experts, and insurance adjustors willing to lend their expertise to your case and even testify in court if necessary. An attorney at Ellis Injury Law can do a lot more for you than investigate and win your case. There are many concerns in the days following an accident, but we take as much off your plate as we can. Ellis Injury Law can hook you up with doctors who will treat you without upfront costs and we will drive you to your appointments. Our team can find out what really happened and provide you with answers you need to start recovering mentally and physically. We have helped some of our clients’ bills disappear — and, in some cases, put cash in their pockets in as little as 48 hours to prevent immediate expenses from engulfing them. So do contact us right away! We’ll do whatever we can to help you in the immediate aftermath of an accident. Ellis Injury Law Firm is deeply embedded in the community, which we’ve proudly served for nearly two decades. What’s not to love about a place so beautiful it was the vacation home of Clark Gable, Charlie Chaplin, and John Wayne? We love the sandy beaches with their priceless views of the Channel Islands, the strawberries, the art and culture – but, most of all, we love the people. That’s why we’re so committed to giving back to the community. Andy Ellis serves as a board member of the Los Angeles Trial Lawyers Charities, where he helped to found Old Bridge Militia, a program that rebuilds high school music programs by providing students with musical instruments. The LATLC supports numerous local causes, from the Blind Children’s Center, Los Angeles Ronald McDonald House, and the Pediatric Cancer Research Foundation, to the Venice Community Housing Corporation, Youth Mentoring Corporation, Jewish Family Services of Los Angeles, and March of Dimes. You’ll find us at 300 East Esplanade Drive in Oxnard — just east of the Pacific Coast Highway / North Oxnard Boulevard, four minutes south of Highway 101 and half a mile from the popular Martinez Shopping Center. If you’re taking the #6 bus, you can get off at Vineyard & St. Mary’s. If you’re driving, there is plenty of parking, including handicap-accessible. Our office is in the prestigious Topa Towers, situated amid banks, food courts, and other professional businesses. Lawyers can talk a fine game about how great they are, but as the saying goes: “The proof is in the pudding.” Our attorneys have a 99% track record of success when we accept a client’s case! We are so confident in our abilities that we offer free consultations to all new prospective clients and only charge a pre-arranged fee when we win money on our clients’ behalf. In other words: we only get paid if you get paid. To see more verdicts and settlements, visit our results page. Is My Personal Injury Case Really Worth Anything? How obvious the cause-and-effect relationship is between the accident and your stated injuries. How lasting the injuries and repercussions were, including your age and life expectancy. Whether you had any pre-existing conditions that may contribute to your suffering. The type of work you do, as well as the hobbies/sports/talents/skills/passions affected by the accident. The cost of your medical expenses and what type of treatment you received. The reputation and reliability of the medical professionals, experts, and witnesses testifying on your behalf. The State of California does not place any damage caps on these claims, except for in cases of medical malpractice. The Medical Injury Compensation Reform Act of 1975 places a $250,000 cap on non-economic “pain and suffering” damages. This is just one portion of a settlement or jury award. There are additional payouts for medical bills and lost wages that are not subject to the cap. My Accident Happened a While Ago — Am I Still Eligible to File a Lawsuit? Statute of limitation laws were designed to protect individuals from frivolous lawsuits or from having to defend themselves from claims dating further back than their records and memories of the event. In the State of California, you generally have two years from the date of the accident to file a personal injury lawsuit based on negligence. For medical malpractice claims, plaintiffs have up to three years from the date of the injury OR up to one year from the date the plaintiff discovered the injury, whichever is greater. If the plaintiff is a minor (under 18), the statute of limitations does not start running until the claimant turns age 18 (or is emancipated by court order). Birth injury Statute of Limitations occur six years after the date of birth, as many cognitive delays and signs of injury are not fully recognized until the child starts school. Exceptions also exist for plaintiffs who were mentally insane or incompetent at the time the injury occurred. If a plaintiff dies, the lawsuit must be commenced within six months of death or within the normal Statute of Limitations – whichever occurs first. Before assuming you’re ineligible to file, it’s worth a free call to an attorney to see if you are eligible to seek just compensation through the court system. While not essential, you may find it easier to write out a timeline summary that includes important dates, such as doctor visits, surgeries, therapies, time off work, and ways your injury has impacted your day-to-day activities. This practice gives you the opportunity to reflect and recollect in the privacy of your own home before coming to see us. If you’ve been injured in a car accident, suffered an injury on someone else’s property or been hurt in a slip and fall accident, you have the right to take legal action. An Oxnard personal injury attorney will make sure that you are equipped with a knowledgeable lawyer that will fight for the settlement you deserve. Call today for a free case evaluation with a lawyer at Ellis Injury Law Firm. Remember, you pay nothing unless we take on your case and win!